You wouldn’t expect Seattle Central to play host to an Emmy-nominated composer but beneath the wood floors of the Broadway Performance Hall, literally, one Hollywood musician resides. David Paul Mesler is a music instructor at SCCC and has an office under the Performance Hall where student music classes belt out foundation shaking vibrato. “I came from an artistic family,” says Mesler, “I am forty-eight right now, but I started playing and performing at three, though I played professionally at the age of fifteen, so it has been over 30 years.” Mesler sings, plays piano, composes, and has been nominated for an Emmy in the category of composing. The instructor’s also performed for some political shakers and shifters — Presidents Bill Clinton, Ronald Reagan, and George Bush. Not only does he play for the presidents, but one of his upcoming works has some eerie overtones. 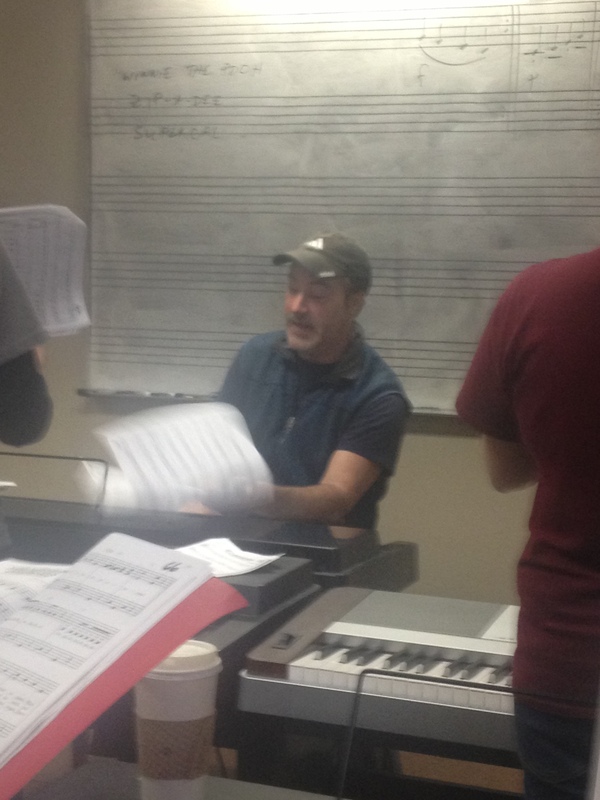 Mesler says, “There is a movie coming out in a week called Warm Bodies, a zombie romance…and I was the pianist on that.” Looking at Mesler’s busy schedule, it’s a wonder how he can take time out of performing to teach students at Seattle Central Community College. Mesler currently runs the Pop Ensemble, piano lessons, private music lessons and the Performance Experience course on campus. Most classes consist of twenty-five students, but Mesler says there is always room for growth. “Even though the capacity is twenty-five students, I would add more students into my choir class if there are more students who want to join.” It seems that his Pop Ensemble class has very few students enrolled, but that doesn’t phase Mesler one bit. “This quarter we are working on some doo wops and Disney classics,” he says. “We tried to learn three songs a week for eight weeks before the final concert at the end of the quarter.” The concert will take place in the Broadway Performance Hall building on the campus of Seattle Central Community College on March 11, 2013 at 7:30pm. According to Mesler, music helps people learn easier and with memorizing. “I tried to make the class as fun and entertaining as possible to attract students.” His current Pop Ensemble students are all enjoying this class. Sarah Cooper, one of his students says, “I love this class — it is so much fun singing with everybody. I have been taking this class for two quarters now.” (Check out Mesler performing live in the clip below). David, the man with many skills, will continue teaching these classes and working on his professional performing career for as long as he can, “I don’t think I would ever want to retire,” he laughs. Students here at Seattle Central Community College couldn’t ask for a more talented, and dedicated teacher.